“Teen heartthrob” Justin Bieber is best known for his hit singles like Baby, Boyfriend and Confident, or more recently being arrested for drink driving and fueding with Seth Rogan. However, not many people are aware that Justin Bieber used to wear braces. Really?! But he’s been famous since he was 14! Surely we would have noticed?! Well, no, because he used Invisalign braces, like some other popular celebrities. Invisalign braces are different from traditional metal braces as they are designed to be discreet. They are clear plastic aligners that gently move the teeth into position without it being noticeable that you are wearing a brace. The Invisalign Teen braces (which Justin Bieber used) are perfect for teenagers who want to straighten their teeth but are worried about the “metal mouth” teasing that comes with wearing traditional braces. Invisalign also has the advantage of a faster treatment time. Whereas traditional orthodontic treatment takes around 36 months to complete, Invisalign treatment typically 12-18 months, or even less if you only have mild imperfections. Although the aligners must be worn 20-22 hours a day to be effective, unlike traditional braces they can be removed for eating and cleaning. This means they do not require any dietary restrictions or special tools to clean your teeth. So if, like Justin, you would like a straighter smile but don’t want to go through the hassle of wearing unsightly metal braces, contact us today. You will end up with a smile that looks great, even in a mugshot. This entry was posted in celebrities, invisalign and tagged celebrities, invisalign, Justin Beiber on 29th September, 2014 by Clearbrace Dentist. 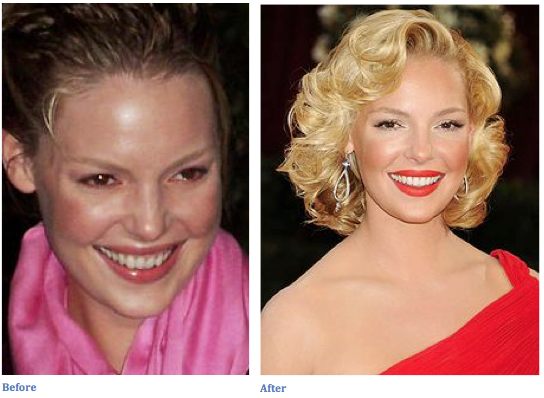 Knocked Up star Katherine Heigl has always looked amazing, however her smile was not always as straight as it is today. Although Katherine has never had terrible teeth, her incisors were slightly crooked, and after she got engaged to husband Josh Kelley back in 2007, she decided she wanted a perfect smile for her big day. As an actress working in an industry where appearance is everything, wearing traditional metal braces was out of the question, so she opted for discreet Invisalign aligners. Invisalign Lite and Invisalign i7 are perfect for milder cases such as Katherine’s, and treatment can be completed in as few as 3-6 months. That is certainly a great way of describing how user-friendly Invisalign aligners are. In addition to their invisibility and faster treatment time, Invisalign aligners are removable, which means you can eat and drink whatever you like during the course of the treatment, and they are easy to keep clean. If, like Katherine, you would like to fix imperfections in your smile without the hassle traditional orthodontic treatment can bring, don’t hesitate to contact us today to request your free consultation for a celebrity smile. This entry was posted in celebrities, invisalign and tagged celebrities, invisalign on 29th September, 2014 by Clearbrace Dentist. We’ve all seen them, jumping out at us from the front page of glossy magazines, no, not a witty headline…dazzling, white, perfectly aligned teeth, attached to a grinning celebrity. From Tom Cruise to Cheryl Cole (or is it Cheryl Fernandes-Versini now?) they’ve all got them, and if you’ve ever wondered how you can get them too, read on to find out! There are two key components to a celebrity smile: white teeth & straight teeth. Now, most celebrities will have achieved their perfect smile with veneers. A costly process involving fitting a thin layer of porcelain over the original tooth to improve its colour, shape and position. Costs can vary, but you will be looking at somewhere in the region of £300-£1500 per tooth. That’s right, per tooth. So if you want a whole mouth full of beautifully white and even veneers, that will cost you somewhere in the region of £9,600 – £48,000. Ouch indeed. So, what options are available to those of us who don’t have that kind of money to spend? Well, if we go back to the basic principle of needing straight and white teeth, then (you’ll be pleased to know) there are a few. Let’s start with white teeth. There are many options on the market to help you achieve a whiter smile. However, not all of them will be able to get your teeth quite as white or uniform as veneers, but anything is better than yellow, right? When talking about professional teeth whitening, there are two main systems: Professional home whitening kits & laser whitening. Your dentist will take a mould of your teeth in order to create a custom whitening tray for you to use at home. You then fill each tray with the whitening gel provided by your dentist and wear them for the designated amount of time. Although some gels can be left on overnight, others can only be used for 1-2 hours at a time, so the time taken to achieve white teeth varies, with the process usually finishing in 2-4 weeks. This process takes place in the dental surgery, and involves coating your teeth with a whitening gel before shining a light onto the gel to activate it and accelerate the whitening process. Whilst this process is a great deal quicker than the home whitening kits available from your dentist, taking just 1-2 hours to complete, it is also more expensive. With so many different over-the-counter whitening options available to you, we’ve decided to break down some of the most popular ones. There are many home whitening kits available to buy over the counter, presenting a cheaper alternative to the professional procedures. These kits should be used with caution; any dental procedure should be supervised by your dentist to avoid damage to your teeth and mouth. It is also worth noting that due to legal restrictions, over the counter kits contain a much weaker dose of hydrogen peroxide (the active ingredient) than the kits your dentist can offer and so are much less effective at whitening. These kits are much like a professional home whitening kit, except the trays are not custom made to fit your teeth exactly, and the gel used is weaker. You wear them for around 30 minutes each day, and manufacturers claim that you can expect to see results in 2-3 weeks. Coated in whitening gel, they are usually worn on the teeth twice a day for a couple of weeks. As with the whitening kits, caution is advised, and the results are unlikely to be as good as with professional whitening systems. Whitening toothpastes are slightly abrasive and ‘whiten’ your teeth by removing surface stains. They do not alter the colour of your teeth, and the results do not last beyond your next strongly coloured drink, so are best used to maintain tooth whiteness, rather than relied on to make your teeth as dazzling as a celeb’s. Whitening mouthwashes are unlikely to produce any whitening results as they are in your mouth for far too short a period to be effective. However, the use of mouthwash is important for promoting healthy teeth and gums, and we do recommend its use as a way to keep your teeth in tip-top condition! So we’ve covered off the basics of whitening. What about straightening? There are only two methods to banish crooked teeth and get them ready for Hollywood – traditional braces and Invisalign. There are many different types of traditional braces; some are removable (for minor alterations), and others are fixed to the teeth. All braces available on the NHS are made of metal. Privately you can have ceramic braces fitted, although this is more expensive than the metal alternative. Treatment usually lasts from 18 months to 2 years, and you have to attend appointments with your dentist every 6-8 weeks to have your braces checked and adjusted as necessary. Make sure you watch what you eat with both removable and fixed braces, as some foods can damage or break them. Invisalign are clear, custom made braces that are cheaper then getting veneers! The virtually undetectable aligners are made using snazzy 3D printing technology and they slide over your teeth to apply carefully calculated pressure to move them millimetre-by-millimetre, week-by-week. Unlike traditional braces the process usually only takes a few months, offering an advantage to those who are hoping to smile like a celebrity sooner rather than later, or have an important event on the horizon (hello lovely wedding pictures!). Like traditional braces, you will need maintenance appointments, although they are less frequent at every 8 weeks and over the course of treatment you get several pairs of aligners to respond to the changing shape of your mouth. There are 4 types of Invisalign braces available (Infographic: Which Invisalign Braces are Right for You) so whether you have a whole mouth full of gaps and rotated teeth that need straightening or just want to perfect a slightly crooked smile (à la Khloe Kardashian) there is an Invisalign brace for you. And another thing…you can eat and drink whatever you want, just pop out your braces while you eat! You don’t even need to take them out when drinking, so you can enjoy your morning apple juice without any worry about what it will do to them. The typical cost of Invisalign treatment is £1995-£4500…which certainly isn’t cheap, but when you consider the benefits, the technology involved and the 0% interest payment options that The Invisalign Doctor offers at all of their clinics, it can be thought of as money well spent. So now you know the options available and processes involved in achieving a celebrity smile…but what if you want to avoid these more invasive routes; what if you just want some tips on how make the most of what you’ve got? Well, you’re in luck! 1) Look after your teeth! Good oral hygiene is essential. Brush your teeth twice a day for at least 2 minutes, rinse with mouthwash and floss, floss, floss! 2) Don’t use your teeth as a tool! Yes, we know that sometimes that packet of ________(insert insanely difficult-to-open packaged product here) is hard to open, and your scissors aren’t where you left them (we bet they are…), but don’t use your teeth! It places unnecessary pressure on individual teeth, and they won’t thank you for it! 3) Take a look at your diet. Are you eating a lot of fruit? Sugar? Refined foods? Then you aren’t doing your teeth any favours, in fact, you will be aiding erosion. Do you like a cup of coffee to get you going in the morning and a glass of red wine to help you wind down at night? They might make you feel good, but they will stain your poor teeth and a celebrity smile you won’t have! We’re not saying avoid them completely; maybe just cut back a bit and brush after consuming. 4) Create a little tooth care kit to have always with you, so there is no excuse. If you always have a toothbrush, a little tube of toothpaste and some floss to hand, then you can keep your teeth in tip-top condition whether you have an unplanned stopover at your friend’s house, or you’ve decided to head out to a red wine and cheese sampling evening! 5) Finally, if there are any lipstick fans out there, here’s a little cheat – wear lipsticks with a blue undertone (we’re not talking blue lips here, think berry red instead of terracotta) – it counters the yellow in stained teeth to make them appear whiter. Win! If you’re interested in finding out a bit more about Invisalign braces, or would like to book an appointment then contact us today! This entry was posted in celebrities, invisalign, Tips and Advice and tagged braces, celebrities, celebrity, dentist, invisalign, straightening, veneers, whitening on 21st July, 2014 by Clearbrace Dentist. When watching celebrities in films and on TV, it can be easy to imagine that they were all born with perfect teeth and perfect smiles – all ready for life in front of the lens. However, this is not always the case and there are a number of famous names who have undergone dental treatment or worn braces to perfect their smiles. Here we go through five celebrities you may now know wore braces. Front man of the Kaiser Chiefs and new coach on BBC1’s The Voice, Ricky Wilson makes a living from singing and talking in front of a microphone, inevitably drawing attention to his teeth. To help straighten his imperfect smile, Wilson turned to Invisalign and opted for clear braces to help bring his teeth into line, giving him great results and a smile to be proud of. Life as a rugby player can be especially tough on the teeth and before his marriage to the Queen’s granddaughter Zara Philips, Mike Tindall decided to rectify his crooked smile with clear braces. In fact, the braces were so hard to spot that he even wore them on his wedding day. As one of the most beautiful women in the world, it may come as a surprise to learn that super model Gisele Bundchen is a dedicated user of clear braces. Keeping them on standby in her make-up bag and crediting them with improving her appearance in photo shoots, she is a true advocate of invisible braces. Teen sensation Justin Bieber is one of the most famous people in the world, but even he didn’t get that perfect smile without a bit of help. 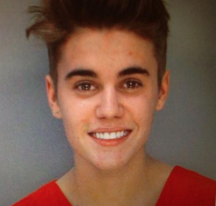 In order to preserve his teen pin-up looks, Bieber opted for clear braces when straightening out that smile. Former member of Girls Aloud and X Factor judge Cheryl Cole is another celebrity well known for her perfect looks. Like a lot of other celebrities, Cole didn’t want her look altered by traditional wire braces and so opted for clear braces to create a movie star smile. Discreet, effective and affordable, it’s no wonder that celebrities around the world are choosing clear braces to correct their crooked teeth and give themselves the perfect Hollywood smile. If you’d like to improve your smile, why not follow in the footsteps of the rich and famous by looking at Invisalign clear braces? This entry was posted in celebrities and tagged celebrities, clear braces, dental treatment, invisalign on 29th April, 2014 by Clearbrace Dentist. 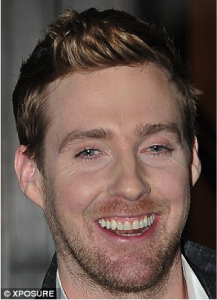 Is Ricky Wilson Still Smiling After The Voice Final? 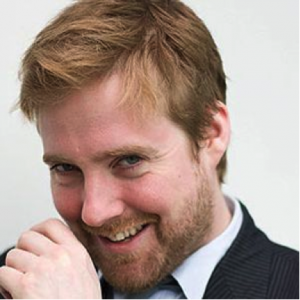 Ricky Wilson is currently best known for being the stylish, charming TV personality on talent show The Voice. However, this look is a far cry from his scruffier image a couple of years ago. Before joining the Voice, Ricky underwent a radical makeover; losing weight, using Invisalign braces to straighten his teeth and investing in a sleeker wardrobe. A year ago today I visited Dr. Graham Tinkler at Holborn Dental about sorting my teeth out. I smile lots more now. But is he still smiling after last weekend’s live finals? His last remaining act, Christina Marie, wowed the judges with her rendition of Coldplay’s “Fix You” and duet with the Kaiser Cheifs. However, despite this and being the favourite to win the competition, the prize went to rival Jermaine Jackman. But all is not lost for Christina Marie and Ricky. Christina has reportedly been in talks with her mentor about performing with the Kaiser Cheifs on their upcoming tour, and had meetings with Universal Records, Polydor and Island Records. Ricky has admitted that he cared about his contestants more than he thought he would, so here’s hoping Christina Marie’s dreams will become a reality! See other celebrities who have had Invisalign treatment. This entry was posted in celebrities, invisalign and tagged invisalign, Ricky Wilson, The Voice on 7th April, 2014 by Clearbrace Dentist. Invisalign continues to get celebrity endorsements, and Khloe Kardashian – one of the most photographed celebrities on the planet – is the latest. Khloe Kardashian chose Invisalign Lite for her braces, as her case was a minor one, and she appears to be overjoyed with the results. Her Invisalign process took place in the US with Dr Kevin Sands, a cosmetic dentist who has worked with the likes of Miley Cyrus and the rest of Khloe’s family. So, he’s got experience! Invisalign clear braces offer a host of benefits, and celebrities aren’t the only ones turning to invisible braces – they do just the same as traditional braces, without the hassle. This entry was posted in celebrities and tagged dr kevin sands, invisalign lite, khloe kardashian on 2nd October, 2013 by Clearbrace Dentist. I think that’s a great way of explaining the benefits of Invisalign – although most of us in the UK might say Lovefilm. Either way, Katherine Heigl’s interviewer hadn’t even noticed the braces until she took them out. The huge advantage of Invisalign over traditional metal braces is that you can remove them for better dental health – in other words, for brushing your teeth and eating – ensuring that no food gets trapped in between your braces. And, as Heigl says, you get a new set of braces every two weeks. The advent of hi-tech 3D printing means that the computer-generated images of your teeth can be printed out on industry-leading 3D printers. That means you get new, clean braces just as you would, say, contact lenses. For more information about Invisalign, visit our Invisalign FAQs section. This entry was posted in celebrities and tagged clear braces, invisalign, katherine heigl on 12th September, 2013 by Clearbrace Dentist.